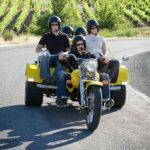 Serendipity Canyon Tour – Blue Mountains Canyoning – Day Tour: Serendipity is a beautiful canyon where you're likely to see some freshwater yabbies, birdlife, plants and cool fungi, and some amazing rock formations. 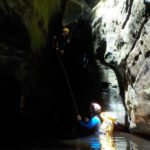 The canyon involves four short but exciting abseils, an optional water jump and some short swims. This is a good canyon for those that have never been canyoning before but have good outdoor experience, fitness and would like to do a full day of a more adventurous canyon than Empress. 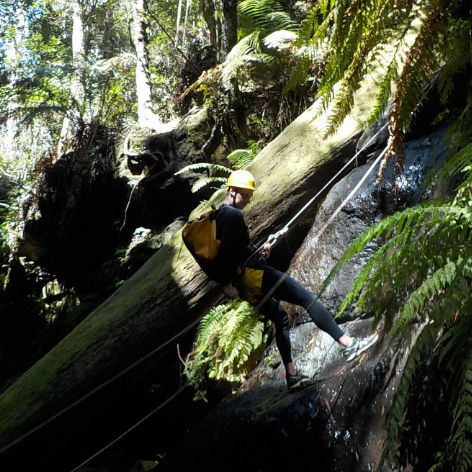 After a 1/2 hour easy grade bush walk, your Blue Mountains canyoning experience begins with a 15 metre abseil that takes you to down to creek level only to be met with a lush temperate rainforest. 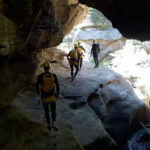 As we move along the creek via a series of abseils up to 20 metres high you will find the canyon walls gradually begin to rise up each side of the creek. 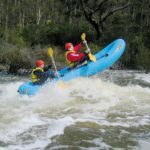 We make our way through a magnificent tunnel section and arrive at the beautiful Wollangambe river. We then stop for a late lunch and a chance to cool off in the warmer waters of the river. After a rest break we head back for a casual 1 hour bush walk to the car. Serendipity Canyon is an intermediate canyon and is suitable for those seeking to challenge their abilities and perceived limits. Usually, the walk into and out of the canyon is longer, and the canyon requires more or sustained technical skill than canyons classified as suitable for beginners. Nationally Qualified and Highly Experienced Instructors. A wholesome lunch and refreshments included! All National Parks entry fees. 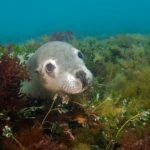 You should have some abseil experience. A good nights sleep is recommended the night before. This is a Spring, Summer and Autumn adventure. Does not run in Winter. 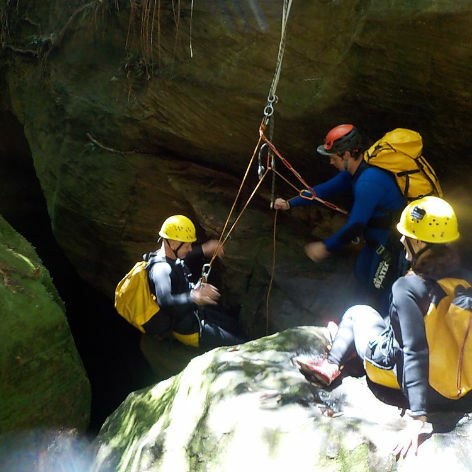 Canyoning experiences are weather dependent. The trip leaders will decide if the trip will be cancelled. 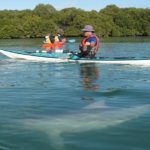 The trip will go ahead unless you are notified by the tour operator.